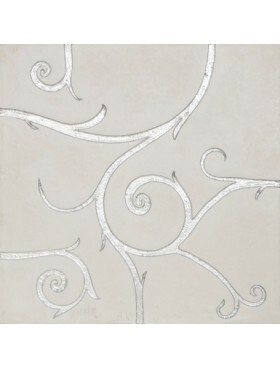 Flamboyant Marble, plain light grey 23.6" x 23.6"
Sold by the piece; each piece is 23.6" x 23.6", totaling 3.87 sq. 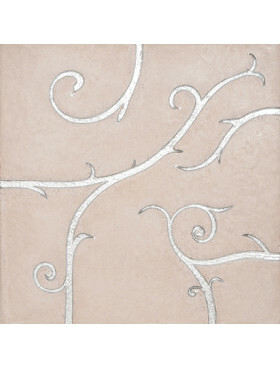 ft ($19.08/square foot). There is no more appropriately named collection. The four tiles that make up the design can be configured to give an almost infinite number of patterns with different decorative densities. 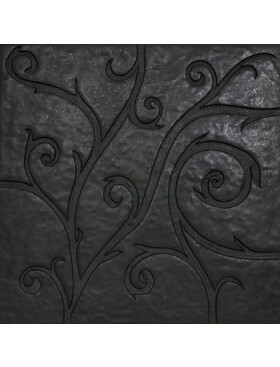 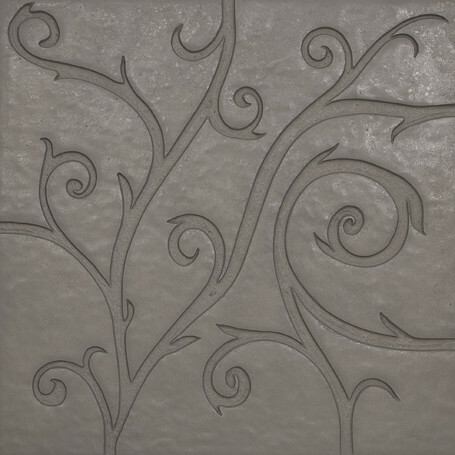 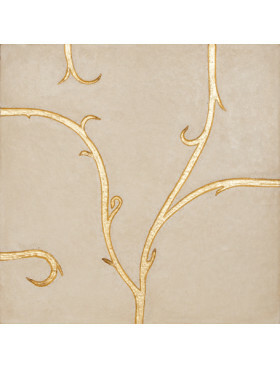 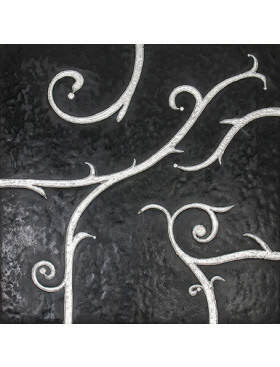 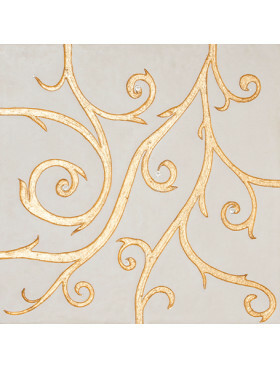 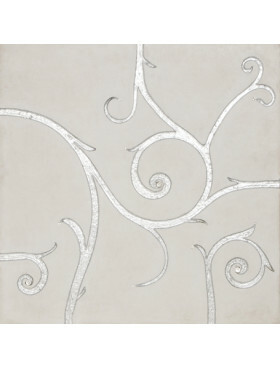 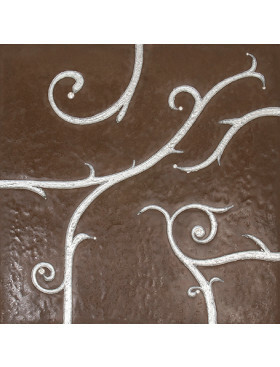 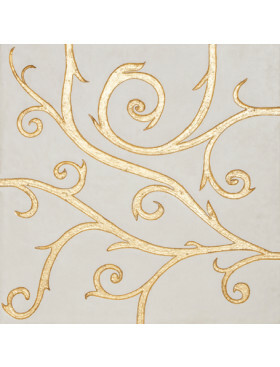 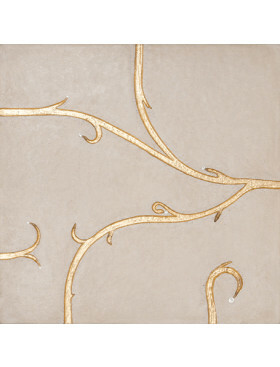 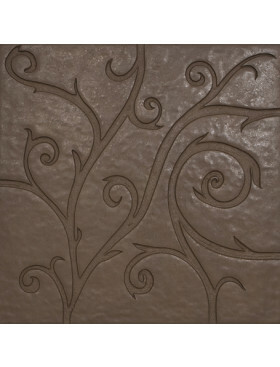 The graceful vine design and material are pure elegance. 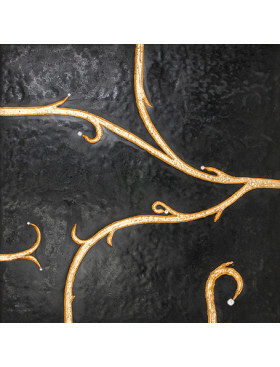 However, for those who wish for more decoration, Giovanni applies either a silver leaf or gold leaf to the vines for a stunning affect. 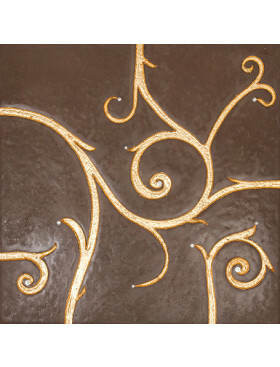 And for those who want an even more sensuous look, Swarovski crystals are placed tastefully to enhance the statement. 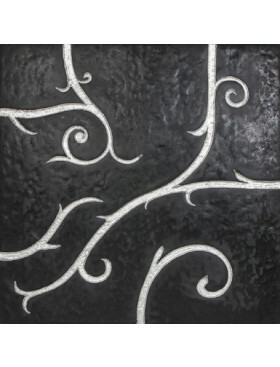 As with most Giovanni Barbieri designs, Flamboyant is ideal for high-impact focal points. 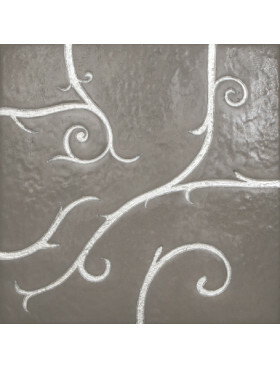 Color variation is slight however this is a hand finished product which will have some variations in surface presentation. 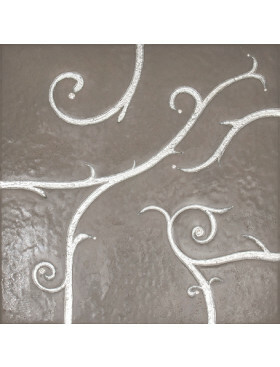 Edges are slightly beveled. 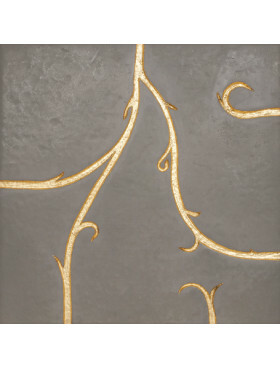 Flamboyant is made from recycling marble dust production waste, reproducing faithfully the Natural Stone’s beauty. It is suitable for any installation even where Natural Stone is not suggested.